CaptainKudzu: Does Obamacare establish a paramilitary secret police force? I recently received in my email a video of Lt. Gen. (Ret.) W. G. Boykin entitled “Marxism in America.” I recognized Gen. Boykin’s name, but could not immediately place him. 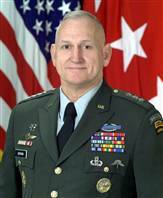 It took only a brief search to find that Gen. Boykin has a distinguished record as an army officer. Boykin’s career began in 1971 as an infantry lieutenant in Vietnam. He joined the elite Delta Force in 1978 and served within the unit 1993. He was the Delta operations officer for the 1980 attempt to rescue the hostages being held in Iran as well as the 1983 invasion of Grenada. He also took part in 1989 invasion of Panama and the hunt for drug lord Pablo Escobar in Colombia. In 1993, he advised the government during the Waco standoff with David Koresh before taking command of the Delta contingent in Somalia that was tracking Mohammed Farrah Aidid. He was wounded in a mortar attack after the Battle of Mogadishu (the battle depicted in Blackhawk Down). Afterward, he held a number of desk jobs until his retirement in 2007. These included Deputy Director of Special Activities at the CIA and Commanding General of the US Army Special Forces Command, where he helped plan the Special Forces strategy for the War on Terror. General Boykin has long been a committed and outspoken Christian. He was almost denied entry onto the Delta Force because he was “too religious.” His wife of 28 years left him in the 1990s, citing similar opinions of his faith. He was criticized on several occasions for framing the War on Terror in Biblical language. In his six-minute video, Boykin cites his experience as a Special Forces officer who has studied and fought communist insurgencies around the world. He lists six common steps of Marxist takeovers throughout history. The first step is “nationalizing major sectors of the economy.” He states that this was the purpose of the bailouts. There is some truth to this statement. President Bush’s TARP, loans to the banks, has largely been repaid. President Obama’s use of TARP funds to bail out the auto companies has not. President Bush’s plan gave banks loans. President Obama’s plan had the government taking equity in companies that it still holds. Further, President Obama also nationalized the student loan industry as part of his health care reform law in March 2010. The health care reform law itself stopped short of Obama’s desired total government takeover of the health insurance industry, but it did set up a situation in which the government will soon be required to step in again to correct the mistakes made by the current legislation. Many Democrats hope that this will lead to a “public option” and, ultimately, a single-payer takeover of the health care industry. Boykin says that the health care reform law reflects the second step of Marxism: redistributing the wealth. To support this claim, Boykin cites a quote by Donald Berwick, President Obama’s Administrator of the Centers for Medicare and Medicaid Services. In a 2008 speech, Berwick supported the idea that health care reform is a means of wealth redistribution: “Any health care funding plan that is just, equitable, civilized and humane must, must redistribute wealth from the richer among us to the poorer and the less fortunate. Excellent health care is by definition redistributional.” Berwick, who President Obama appointed during a senate recess to avoid confirmation hearings, also supported the idea that government control of health care will lead to rationing. Boykin says that censorship is the fourth step toward Marxism. In 2009, Congress passed a federal hate crimes law that Boykin believes is meant to intimidate people, pastors in particular, from exercising their freedom of speech. Because the law makes it a illegal to incite a hate crime, if a pastor says that homosexuality is a sin and that gay marriage is wrong, he could be prosecuted if a member of his congregation then assaulted a gay man. In other instances, people have already been persecuted in this country for standing up for their religious beliefs. Notably, a Georgia woman was forced by Augusta State College to renounce her statements about homosexuality and attend re-education in order to graduate as a counselor. The Alliance Defense Fund defends many other believers who face retribution for speaking out against abortion and the homosexual agenda. Fifth, Boykin says that Marxists disarm the citizenry. Gun control (as well as bans) has long been a goal of Democrats. Boykin points out that President Obama supports a UN small arms treaty that would regulate the international weapons trade. The goal is to eliminate insurgencies and violence, but as the Washington Times points out “not all insurgencies are bad. As US history shows, one way to get rid of a despotic regime is to rise up against it.” The problem is not guns. The problem is bad people who have guns. Many members of the UN are dictatorships who should rightly fear justice from their countrymen. Specifically, the law establishes a “Regular Corps” and “Ready Reserve Corps” for national emergencies. The officers are appointed by the president and confirmed by the senate. They are separate from normal civil service and report to the Surgeon General. The stated purpose of the Ready Reserve is to provide manpower for “routine public health and emergency response missions.” A total of $17.5 million per year from 2010 to 2014 is appropriated for the Ready Reserve. Boykin believes that this Ready Reserve Corps is the basis for a civilian national security force that President Obama has championed. Boykin and many conservatives believe that this would be on the order of a secret police force. This sort of organization has already existed in America another Democratic president. During WWI, Woodrow Wilson, under the Espionage Act, created the American Protective League, a paramilitary force that beat up political opponents and conducted warrantless searches and interrogations. In reality, Boykin is off base. When taken in context, President Obama’s remarks point toward something more like AmeriCorps than the Gestapo. 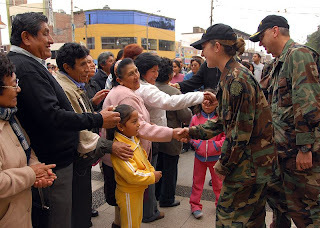 USPHS officers meet patients in Peru. It took only a brief search to find a fact sheet on the United States Public Health Service (USPHS) Commissioned Corps. The USPHS already has a website, www.usphs.gov, which explains its role as a group of medical professionals who respond to health crises. Recently USPHS officers responded to the Asian tsunami, Hurricane Katrina, and the Haitian earthquake. USPHS officers are authorized to wear Navy uniforms (as is the Surgeon General). The Obamacare law did not create the USPHS Commissioned Corps, but it did create a Reserve Corps for the service that is similar to the reserve system for the military services. The USPHS Commissioned Corps traces its roots back to President John Adams in 1798. Many of Boykin’s other claims, while factually true, are also greatly overstated. For example, with respect to gun control, Obama would have to contend with two recent Supreme Court decisions (District of Columbia v. Heller and McDonald v. Chicago) that the second amendment is an individual right. Another case (Reid v. Covert) states that international treaties do not trump the US Constitution. Ultimately, a small arms treaty might make it easier for Democrats to push through gun control measures. Depending on the judge, a treaty might also result in court decisions that favor international law or consensus over American law and precedent. This sort of decision occasionally comes from activist judges, including Supreme Court Justice Ruth Bader Ginsburg. Although President Obama has stated his belief that too much information is available to Americans and puts “pressure on our democracy,” he has made no move to shut down outlets critical of his administration or imprison people like Rush Limbaugh. While some Democrats might harbor this fantasy, they have made no move to actually do so. Domestic terrorists such as the Klan are still a threat. The DHS memo on right wing extremism, while offensive and overblown, did make cogent points. Although generally rejected by mainstream conservatives, there have been examples of right wing terrorists, from Timothy McVeigh to Eric Rudolph. The Ku Klux Klan and other white supremacist groups are a legitimate concern. A number of domestic terror groups can be described as right wing, including some whose beliefs are based in Christian theology. One of the most horrifying domestic terror attempts was the Tyler, Texas poison gas plot in 2003. White supremacist militia members attempted to detonate a cyanide gas bomb that could have killed thousands. Fortunately, the FBI disrupted the plot and arrested the conspirators. The memo was not unique. There was also a memo warning against left wing extremism, which warns against cyber attacks by animal rights, environmental, and anarchist groups. The radical left discussed, played games about, longed for, and even made a movie about killing George Bush. 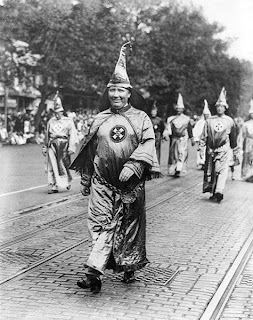 Michigan hutaree members, who were widely portrayed as right wing Christians, were at least partially Democrats. Similarly, the light plane attack on a Texas IRS office building was portrayed as being carried out by an anti-government, anti-tax crusader. In reality, his manifesto railed against capitalism, religion, and the wealthy. While the majority of terrorists are not right wingers, there are enough right wing terrorist groups to confirm that the memo addressed legitimate, if overstated, concerns. Boykin’s last two points involve redistribution of wealth and nationalizing the economy. It is true that Obama wants to use government to “spread the wealth around,” but his higher taxes and subsidies pale in comparison to the redistributions of other countries. Communist redistribution often came in the garb of land reform in which the property of the wealthy was seized and distributed to the poor or held by the state. Nothing on this scale has been attempted or proposed by the Obama Administration. Nationalization has largely been limited to Chrysler, GM, and troubled banks. Now that the economy is stabilizing, it seems that the push toward nationalization is abating. Even though Congress has passed legislation expanding government control of the health insurance and financial industries, they have stopped short of nationalization. Nationalization of the auto companies, student loan industry, and certain banks has affected only a small part of the economy. In total, Boykin’s claims are overstated. I can find no confirmation for the claim that President Obama is ushering in a Marxist takeover of the United States. Rather, he is a typical Big Government Liberal who wants to expand the role of government and raise taxes. He seems to be a true believer is the power og government and Keynesian economics. Probably no one was as surprised at the abject failure of the stimulus package, and the looming implosion of health care reform, as President Obama himself. President Obama completely misread the mandate of the American people after his election. The people wanted Obama’s “post partisan” leadership. What they got was a hard left, hyper-partisan push toward record federal spending and expansion of unpopular government bureaucracies. The electorate responded with an overwhelming rejection of the policies of President Obama and the Democrats. It is not out of the question that Obama and his dwindling supporters will veer even further left toward Marxism, but after the “shellacking” that the Democrats took in November 2010 Obama may be ready to seek bipartisan solutions. The compromise to extend the Bush tax cuts may be an early indication of a new, more moderate Obama. There have also been no indications that President Obama would violate the Constitution by rejecting the will of the voters when his term is up. Just as some leftists were wrong when they claimed that President Bush would refuse to voluntarily leave office when his term expired, conservatives who believe that Obama will consolidate power and become a Marxist dictator will be similarly disappointed. Hopefully, this point will be proven on January 20, 2013. ‘SEC. 203. COMMISSIONED CORPS AND READY RESERVE CORPS. ‘(1) IN GENERAL- There shall be in the Service a commissioned Regular Corps and a Ready Reserve Corps for service in time of national emergency. ‘(2) REQUIREMENT- All commissioned officers shall be citizens of the United States and shall be appointed without regard to the civil-service laws and compensated without regard to the Classification Act of 1923, as amended. ‘(3) APPOINTMENT- Commissioned officers of the Ready Reserve Corps shall be appointed by the President and commissioned officers of the Regular Corps shall be appointed by the President with the advice and consent of the Senate. ‘(4) ACTIVE DUTY- Commissioned officers of the Ready Reserve Corps shall at all times be subject to call to active duty by the Surgeon General, including active duty for the purpose of training. ‘(5) WARRANT OFFICERS- Warrant officers may be appointed to the Service for the purpose of providing support to the health and delivery systems maintained by the Service and any warrant officer appointed to the Service shall be considered for purposes of this Act and title 37, United States Code, to be a commissioned officer within the Commissioned Corps of the Service. ‘(b) Assimilating Reserve Corp Officers Into the Regular Corps- Effective on the date of enactment of the Patient Protection and Affordable Care Act, all individuals classified as officers in the Reserve Corps under this section (as such section existed on the day before the date of enactment of such Act) and serving on active duty shall be deemed to be commissioned officers of the Regular Corps. ‘(1) PURPOSE- The purpose of the Ready Reserve Corps is to fulfill the need to have additional Commissioned Corps personnel available on short notice (similar to the uniformed service’s reserve program) to assist regular Commissioned Corps personnel to meet both routine public health and emergency response missions. ‘(d) Funding- For the purpose of carrying out the duties and responsibilities of the Commissioned Corps under this section, there are authorized to be appropriated $5,000,000 for each of fiscal years 2010 through 2014 for recruitment and training and $12,500,000 for each of fiscal years 2010 through 2014 for the Ready Reserve Corps.’. Santa Claus: Fact or fiction? Does START limit missile defense? Will terrorists attack this Christmas? Are Iranian nukes a done deal?